Our local DOT drug and alcohol testing centers are located in North Charleston SC and the surrounding areas providing DOT drug testing, DOT alcohol testing and DOT physicals for all DOT modes regulated by Part 40. Same day service is available at our North Charleston SC DOT drug testing facilities and most of our DOT drug testing locations are within minutes of your home or office. What type of DOT Testing is required? Coastal Drug Testing provides DOT pre-employment, random, post-accident, reasonable suspicion and return to duty testing at our North Charleston SC DOT drug testing centers. If you hold a CDL license, a large, medium or a small trucking company, Coastal Drug Testing has a complete DOT compliance package which includes all the requirements to comply with CFR 49 part 40. 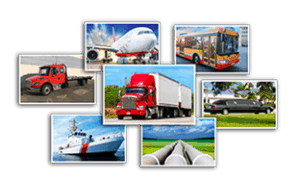 All Coastal Drug Testing DOT drug testing centers utilize SAMHSA Certified laboratories and a licensed Medical Review Officer as required by DOT part 40 regulations. The U.S Department of Transportation (DOT) requires that all DOT regulated “safety sensitive” employees have a negative DOT pre-employment drug test result on file and be actively enrolled in a DOT approved random drug and alcohol random testing pool (consortium). In addition, if a DOT regulated company has more than one “safety sensitive” employee, the employer must also have a written DOT drug and alcohol policy along with an on-site supervisor that must have completed a reasonable suspicion supervisor training program. On the road and need a DOT Drug or Alcohol test? No Worries! The Department of Transportation (DOT) has specific drug and alcohol testing requirements for the all transportation modes all DOT agencies. Are You Enrolled in a DOT Consortium? Individuals who are employed in a position designated as “safety sensitive” must be actively enrolled in a random drug and alcohol testing program. Oftentimes, covered employees will join a group of other DOT regulated employees in a random testing program and this is referred to as a DOT Consortium. Generally, an employer who has less than fifty employees or single operators will join the consortium which will comply with the random drug and alcohol testing requirements of 49 CFR Part 40. Employers that have over 50 employees who are regulated by Part 40 may elect to be enrolled in a “stand alone” random testing pool. The DOT consortium is cost effective and complies with all requirements of 49 CFR Part 40 which mandates that all “safety sensitive” employees be enrolled in a random drug and alcohol testing program. The Department of Transportation (DOT) has strict regulations requiring regulated companies and independent operators (CDL License Holders) to be an active member of a DOT drug and alcohol Consortium and failure to comply with these regulations can result in significant fines and other DOT sanctions. We are fully versed in the DOT procedures for pre-employment drug testing, random drug testing, reasonable suspicion drug testing, post-accident drug testing, return to duty drug testing and follow up drug testing. DOT regulated companies with multiple safety sensitive employees must also have an employee within the company who is assigned as the “designated employer representative” (DER). This is the person responsible for removing any DOT “safety sensitive” employee who is covered by 49 CFR Part 40 from performing a DOT safety sensitive position when a positive drug or alcohol test result has occurred or an employee has refused to take a required DOT test. If you have recently become a DOT regulated company, within the next 18 months the Department of Transportation (DOT) will conduct a “new entrant” inspection to ensure that you are in compliance with all DOT regulations including the drug and alcohol testing requirements. If you are currently a DOT regulated company, you are subject to regular inspections to ensure compliance. Avoid DOT fines, penalties and be complaint with all DOT drug and alcohol testing regulations! Coastal Drug Testing can assist small, medium and large DOT companies in complying with all requirements of 49 CFR Part 40.